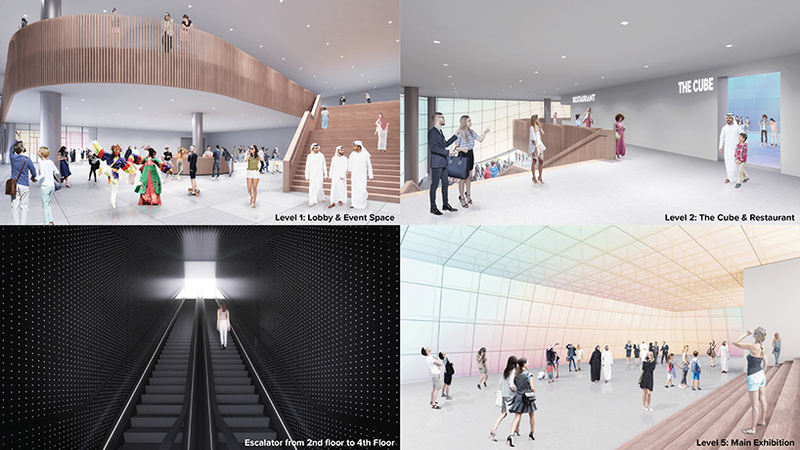 nooyoon’s proposal for korean pavilion at expo 2020 dubai provides a space that is both physical and virtual. 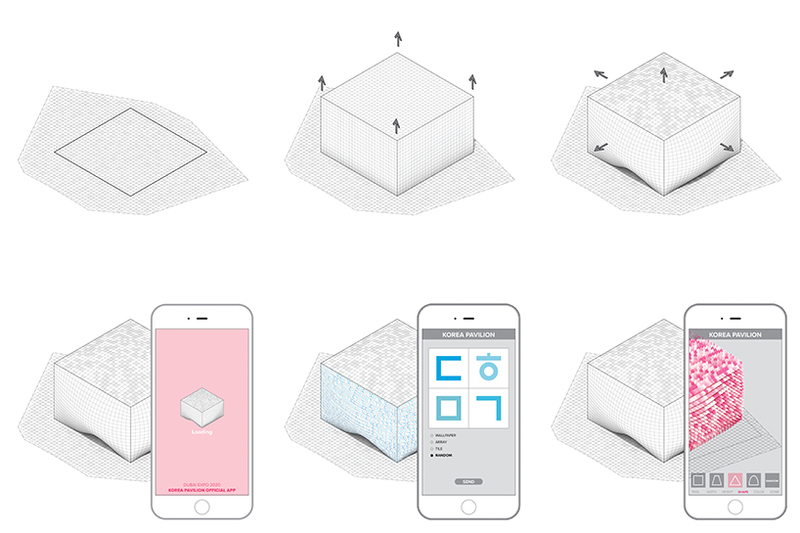 as a physical space, the box inflates in all directions. this reflects the inability of a physical space to accommodate the exponential expansion of information. 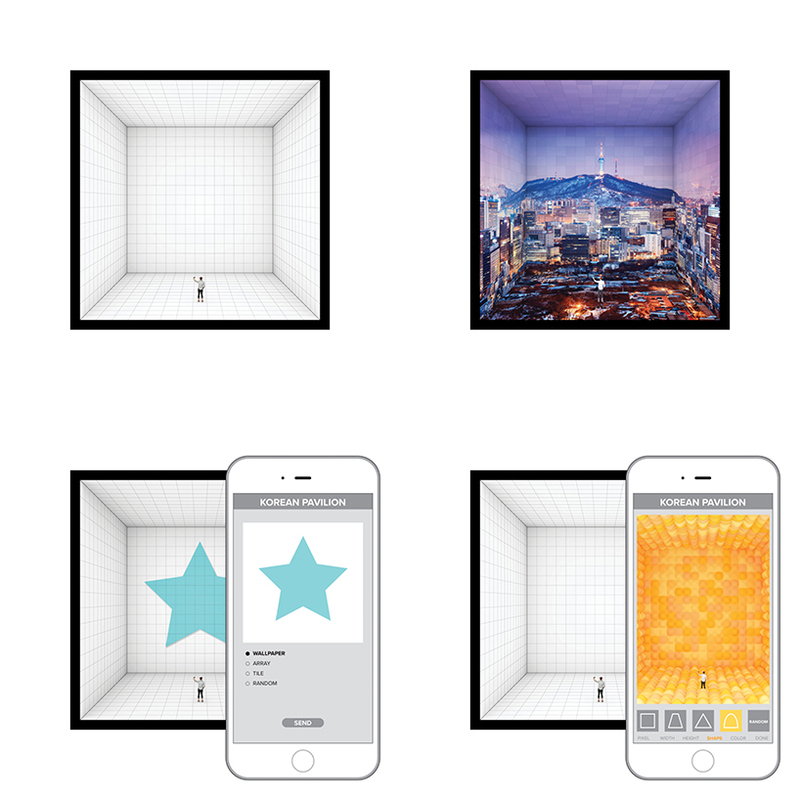 at the limit of this physical growth in size, the physical space expands to a virtual one. in the past, there have generally been more users than creators – a large number of people used the resources, information and tools created by a small number of creators. however, nowadays, creators and users are almost equally numerous. through the advancement of technology and the increased accessibility of information, anyone can become a creator. through social network services (SNS) such as youtube, instagram, and facebook, users are publishing media at an unprecedented rate. creators are increasing exponentially, creating new value that never existed before. in the near future, the distinction between creators and users will become even more nebulous. nooyoon design defines ‘mobility’ as the process by which a user becomes a creator. this transformation is nowhere more evident than in the 2020 dubai korea pavilion, an opportunity to share korea’s philosophy of advancement through technology with viewers from around the world. the virtual space of nooyoon’s pavilion is experienced through each visitor’s personal device. after downloading a special app, visitors can project their own texts, images, or video onto the exterior walls of the pavilion. in addition, they can freely design the shape, size, color and pattern of the pixels that comprise the basic module of the structure and share it through SNS. in this way, visitors can enjoy being both a user and creator at the same time. the cube, which stands at the beginning of korea’s exhibition, is the largest virtual reality (VR) space in the world. this space of 15 cubic meters is lined with HD QLED panels, supporting VR in 360 degrees. visitors can act as curators, sharing their designs and ideas in the physical space, and freely customizing the display through the application. in addition, this space can be used for promoting korean culture, technology, and companies connected with other planned exhibition spaces. 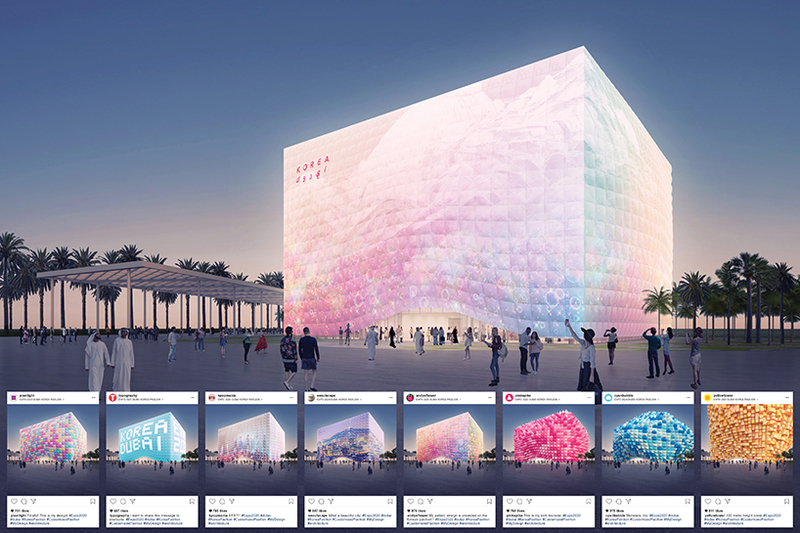 the exterior walls of the korea pavilion are made of ethylene tetrafluoroethylene (ETFE), an environmentally sustainable material that meets the theme of dubai expo. as a fluorocarbon-based polymer, ETFE is not affected by ultraviolet light or air pollutants. in addition, flexible solar panels are installed on the roof to power the pavilion’s operation. by using a translucent ETFE cushion, the façade transmits diffuse light rather than direct sunlight, creating an optimal environment for viewing. the cushion has two layers – inside and outside – with a mini HD projector installed between them. with the projection on the translucent ETFE panel, various images and videos can be projected inside and outside the pavilion.